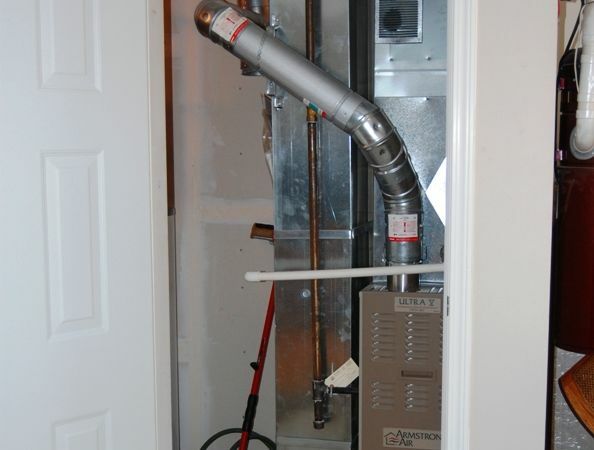 HVAC Inspections by Kelowna Home Inspectors at Building Pro Inspections. Licensed & insured to deliver quality inspections and professional reports. Fresh air intake vents supply combustion air for gas and wood fired appliances, and improve the overall air quality for the occupants. This vent is not supplying much fresh air into the home. This is one of the most common examples of missed maintenance I see. 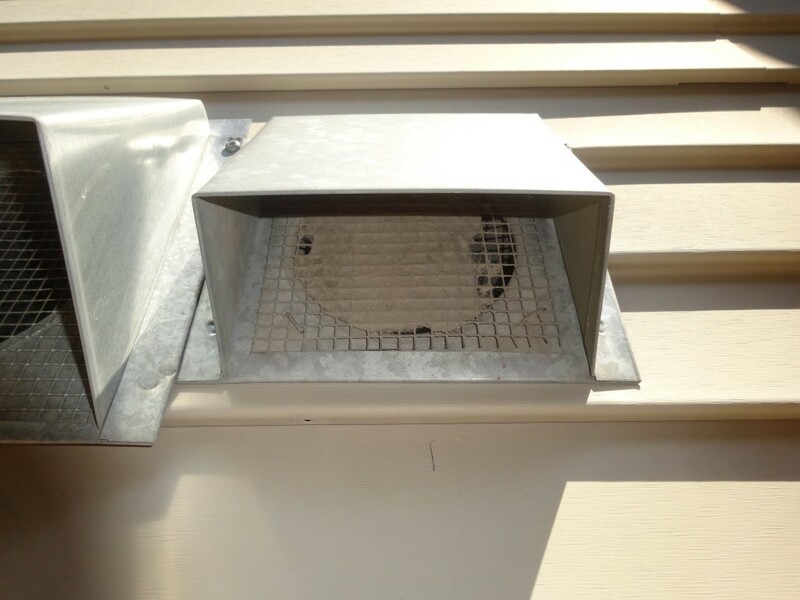 Checking exterior vents every year and cleaning when necessary will improve indoor air quality. 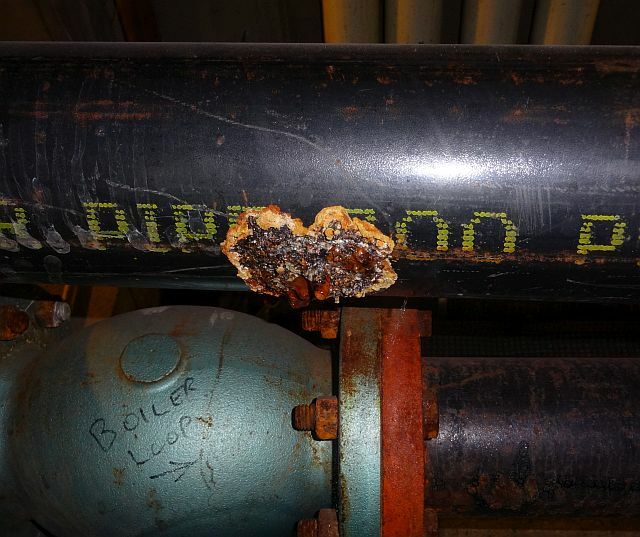 The corrosion on this large steel boiler pipe is a bad sign. Steel pipes corrode from the inside out, so when you see pipes with multiple leaks like this, it’s safe to say extensive repairs will be required soon. This corroded pipe was found in a condominium mechanical room. This is one of the additional areas we are happy to inspect during a condo inspection for an added fee.